Elisa Pattison was struggling with the challenges of new motherhood when confronted with a family crisis. But for Elisa, motherhood brought with it a newfound power—the ability to cultivate an inner strength to weather the storm. It was Christmas 2015. 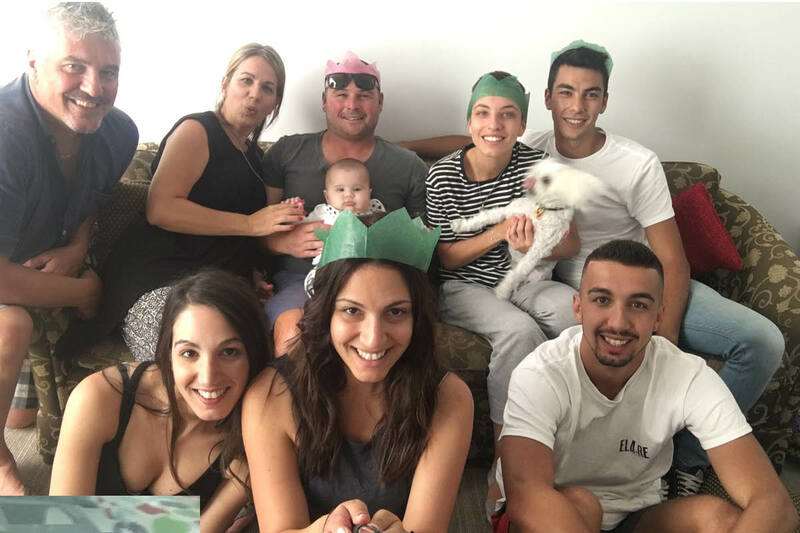 Three months earlier I had given birth to my first child, Layla, the first grandchild on both sides of the family, and it was important that we celebrate my daughter’s first Christmas at home, surrounded by family. During those early weeks of motherhood I was suffering deep feelings of loss for my pre-mum self. I couldn’t understand how the arrival of my daughter, something I had so eagerly and joyously awaited, could flip my life on its head without any warning and leave me feeling low. That Christmas, struggling with the challenges of motherhood, I hosted 40 guests for lunch unaware of what other challenges were coming my way, nor of how resilient I could be. 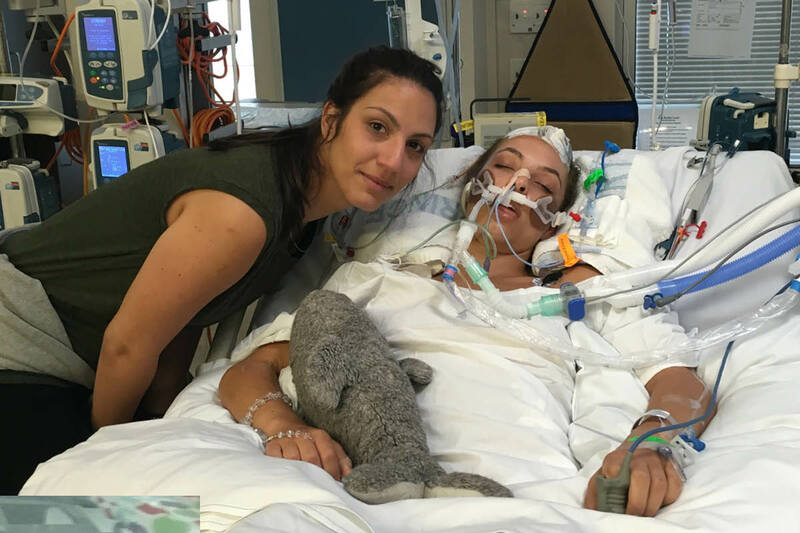 What was meant to be one of our most enjoyable and memorable family celebrations very quickly turned into the worst day of my family’s life when my 21 year old sister collapsed unconscious and was rushed to hospital. She had suffered a brain haemorrhage—a rare condition later diagnosed as Arteriovenous Malformation (AVM). Our immediate family left the gathering to keep vigil at her bedside, spending the rest of Christmas day in ICU where my sister was placed in an induced coma. She underwent nine hours of open brain surgery and spent many weeks in hospital recovering. At one point we didn’t know if she would ever wake up. Firstly, wanting to be there for my sister and family, I spent most of my parental leave between hospital and the rehab centre. This put a strain on my marriage, not to mention the guilt I felt when I wasn’t at home with my baby and husband relishing our new family unit. I no longer had the support of my mother, as all her time and energy was spent caring for my sister. I was tired and vulnerable. My experience as a new mother was overshadowed by the near loss and rehabilitation of my sister. Yet, when I reflect on this time and compare the way I conducted myself in this situation with how I handled the first three months of becoming a parent, I find a resilience I never knew I had. Despite the difficulties I was encountering as a new mother, I became the rock for my family, helping them maintain perspective, find a way forward, and learn from the situation. When you come close to losing someone you love, although you have no control to change what has happened, you can look at the positives to keep going—and that’s exactly what I did. I discovered my inner strength—something we all have—developed from a powerful, positive mindset. The other thing I learnt was just how a child—a beautiful new life—can bring out love and hope in people like nothing else can. My little Layla brightened everyone’s day, no matter how dark those days were at times. My sister has walked away with only slight loss of vision in one eye and minor short term memory loss. Her treatment continues though she is doing well. I am thankful that her recovery has been fast-tracked because of her fitness, young age and luck, but I believe that her inner strength, attitude, love and surroundings saved her life. It’s difficult becoming a new parent, let alone also dealing with a significant life event that affects your entire family. I’m proud of the inner strength I discovered as a result of this experience, and the empathy I have developed for others in similar situations. As a full-time working mother leading a team, I bring these qualities to my job, and do what I can to help make a difference to other families that may be experiencing adversity. It gives me purpose when I get up and go to work each day. I feel blessed to have a husband and daughter who love, support me and keep me real. It never ceases to amaze me the new experiences that motherhood brings, the lessons motherhood teaches me, and the power motherhood gives me. Written by Elisa Pattison, Consultant, Financial Awareness, NAB Assist – National Australia Bank Limited.